Locality: United States, Colorado, Archuleta, On dry springy area between big Pagosa Spring and swamp; southeast of San Juan River at Pagosa Springs. 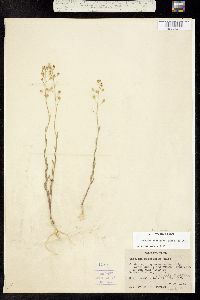 Habitat: On dry springy area. 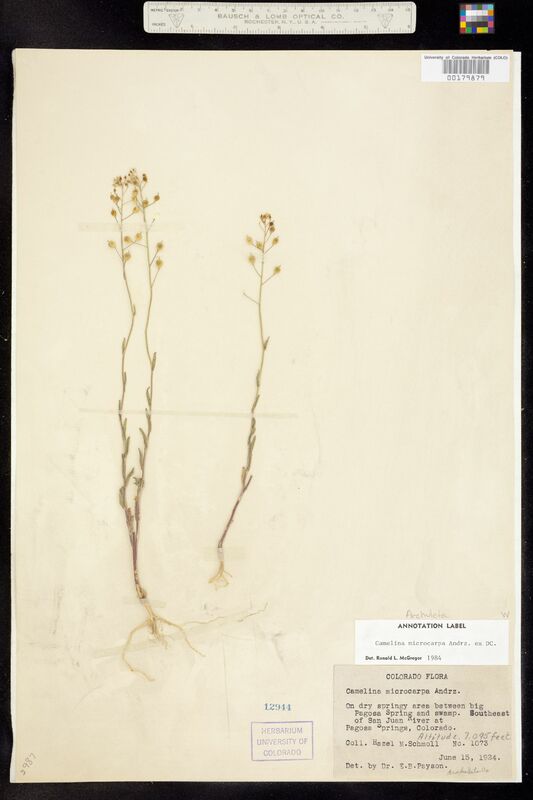 Occurrence Remarks: Camelina microcarpa Andrz. ex DC., det. Ronald L. McGregor, 1984. I. D. det. by Dr. E. B. Payson.